Every day non-profit organizations of all sizes look for help. Groups need help embarking on large capital fund raising campaigns, conducting operational and feasibility studies, crafting strategic plans, designing new marketing approaches to enhance annual and special fundraising, and coaching staff and volunteers to do a more effective job in their respective roles. Steve Drysdale has been helping organizations do a better job doing good for a long time. In dozens of settings in the US and overseas, Steve has helped groups reach success. Steve Drysdale has been fortunate in creating a wide client base primarily through word of mouth. 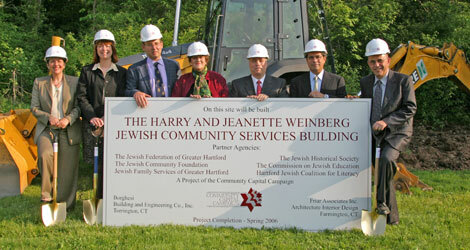 As a result, many clients are through networks of Jewish Community Centers, Jewish Federations, synagogues, parochial schools, etc. Steve's expertise and broad experience allows him to work in non-profit entities of all kinds, and he embraces diversity in our client base.